More and more riders are discovering the advantages of using shorter crank arms, especially on recumbents and triathlon bikes. 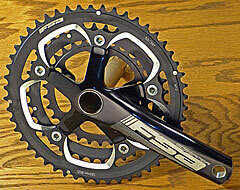 However they have been stymied by the lack of reasonably priced, short cranks, capable of accepting small 3rd chainrings. Can't spin long cranks efficiently? Tandem stoker isn't comfortable spining as fast as captain. Short cranks make some people faster. Could you be one of them? Smaller fairings for HPV racers. Short legs or different leg lengths. mark@bikesmithdesign.com is still the correct email for Cotter Presses, Cotters and Fixed Cup Tools. 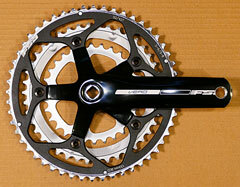 I am in the process of passing the short crank business on to Dan Gilleece. Emails sent to shortbikecranks@gmail.com will reach both of us. We will work together through 2018 while he learns the intricacies of determining which cranks, crankarms and chainrings will best suit each of you and your bikes. 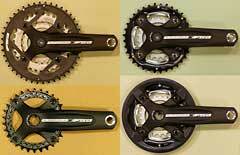 With the myriad of bottom bracket types these days, that last part can get complicated. Not every email gets through to it's intended recipient. If you do not receive a response within 2 days, assume we did not get your email. Or you did not get our response. Please re-send it or phone me @ 612-710-9593. Incompatible cadence? Short or child stoker? Are your long cranks slowing you down? 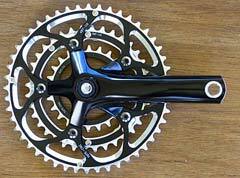 But there are so many reasons triathletes would benefit from short cranks that I'm still trying to figure out how to organize them into a web page. Please call or email. These Apex doubles are no longer being made. Unfortunately they are the only shortenable road crank I know of that can be used in a frame without a threaded bottom bracket. I will buy as much of the remaining stock as I can afford. But when these are gone... Left arm has spindle interface similar to, but not compatible with, ISIS. One Key Release crank bolt included. 24mm I.D. drive side bearing, 22mm on the left. 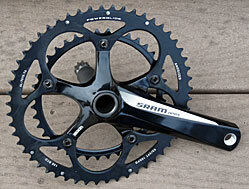 These are the cranks SRAM had me shorten for their sponsored triathletes. Left arm has spindle interface similar to, but not compatible with, ISIS. 24mm I.D. bearings both sides. Only the 165mm are currently imported, but only the 172.5mm and 175mm can be safely shortened. If you own, or can find, a set of 172.5s or 175s I can shorten them for you. $85 labor if you remove the rings. $90 if you leave them on. 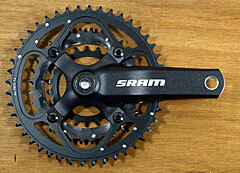 Short Cranks for Fat Bikes!